Renowned Kenyan legal scholar, Professor Patrick Loch Otieno Lumumba, believes that President Muhammadu Buhari is alone in the fight against corruption in Nigeria, as many high-profile public office holders and officials are corrupt. In an interview with SaharaReporters, Professor Lumumba, former director of the Kenya Anti-Corruption Commission, said the Nigerian president’s lack of support is one of the reasons why his anti-corruption campaign has not been successful in producing its intended results. He emphasized that Mr. Buhari is surrounded by corrupt individuals who have normalized corruption in Nigerian society and have prevented his fight against corruption from taking off. “I wish President Buhari institutionalizes and ensures that his agenda is bought by others. No matter how good your idea is, it must be sold to others and they must buy into it. That is how you institutionalize the idea. You cannot be a lone warrior in this matter because the children of darkness hunt like a pack of wolves and they will devour you if you are alone,” Professor Lumumba said. 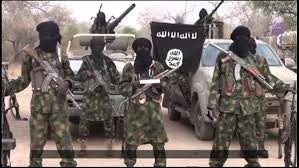 “What President Buhari must do is to recruit the population. If the population has been wedded to the idea that corruption is a bad thing, then that is the beginning of the success of that battle,” he added. Condemning the institutionalization of corruption in Nigeria, Professor Lumumba suggested that the Buhari administration introduce stricter punishments for those found guilty of corruption. “When I see the former Minister of Petroleum [Diezani Alison-Madueke] being investigated for corruption, without being a sadist, I become very happy because her wealth is unexplained. She can’t make that money even if she lives a thousand years. What lacks in Africa is punishment, impunity is alive and well in Africa and we, the electorate, are in the business of celebrating thieves. “Many of these individuals who are in the position of power don’t want to leave because they are thieves and they are scared that if they leave office, they will be prosecuted, and my view is that they should be prosecuted,” he said. Commenting on the cost of corruption in the country, Professor Lumumba noted that people are dying on roads due to potholes because some government officials stole money that ought to have been used to build and maintain good roads. He said this amounts to a crime against humanity and must be punished accordingly. 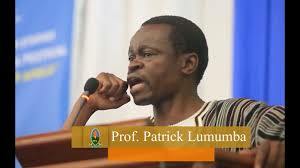 Professor Lumumba further lamented the political apathy among African youths and urged them to take part in the fight against their corrupt leaders. “Our young people in Africa today are imprisoned by Arsenal and Barcelona and our young girls are imprisoned by Beyoncé and South American soap operas. How can our continent be so accursed that our younger people have no sense of our history, present, and future? “Our young people must wake up and it is the day that they wake up they will be able to send a clear message to that imposition of leadership that you cannot continue to misgovern us. I look forward to those days,” he said. The professor insisted that it is a revolution of the mind which is genuinely led by the young ones that will uplift Africa to par with the rest of the world, adding that Africa has what it takes to achieve this feat.